Alvin Robertson, a 4-time All-Star shooting guard who played with the Spurs from 1984 to 1989, holds the distinction of being one of four players in NBA history to drop a quad double. He is also the only guard to have done so, with the fourth stat being steals rather than blocks. 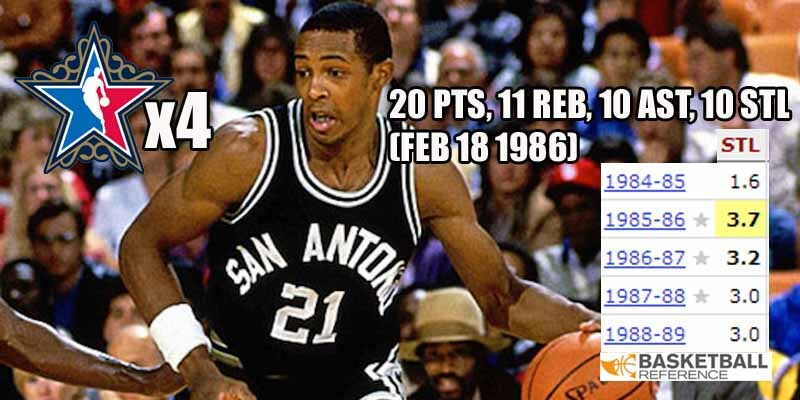 Outside of that game against the Suns on February 18 1986, Robertson was a very good defensive guard, averaging 3 or more steals every season in San Antonio outside of the rookie one.